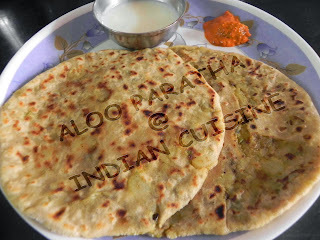 Parathas can be stuffed with potatos, cauliflour, methi (Methi Paratha), cottage cheese (paneer), radish (Mooli Paratha), onions or just lightly mashed leftover vegetables, as long as they’re dry. Aloo Paratha is most popular Punjabi breakfast dishes around. 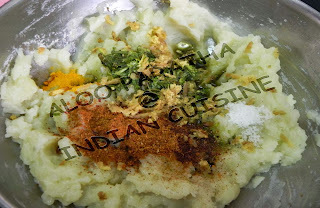 It is a tasty, stomach filling breakfast recipe which really does not need introduction to any Indian cuisine lovers. 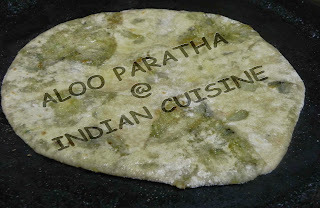 It is best served with pickle and curd. 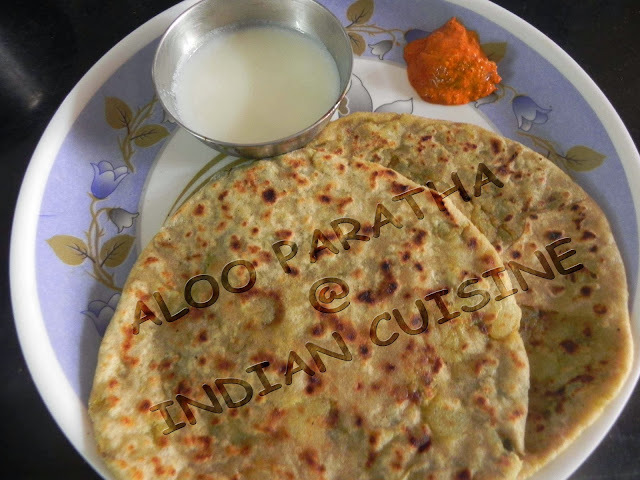 Here is a easy Alu paratha recipe. 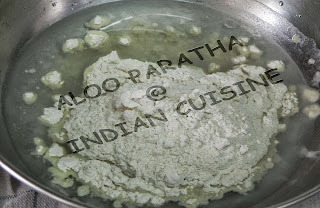 Add water and salt to wheat flour. Knead it to make a soft dough. 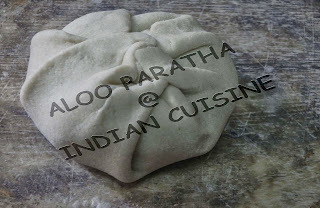 (similar to chapathi dough but not very soft). Apply oil to the dough and keep for around 1hr. Cook the potatoes and mash. 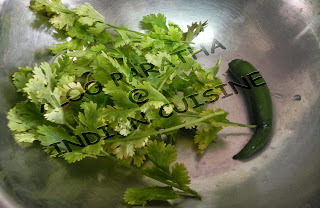 Add grated ginger, finely chopped coriander leaves and green chillies. Add salt and garam masala as per taste. 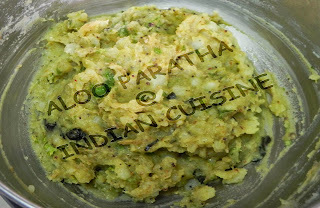 Add seasoning of oil, mustard seeds, bay leaves and asafetida. Take small balls out of the dough. 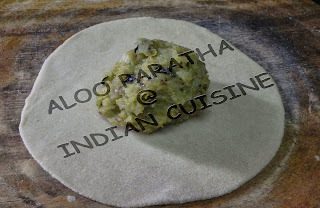 Roll it in circular shape like a puri. 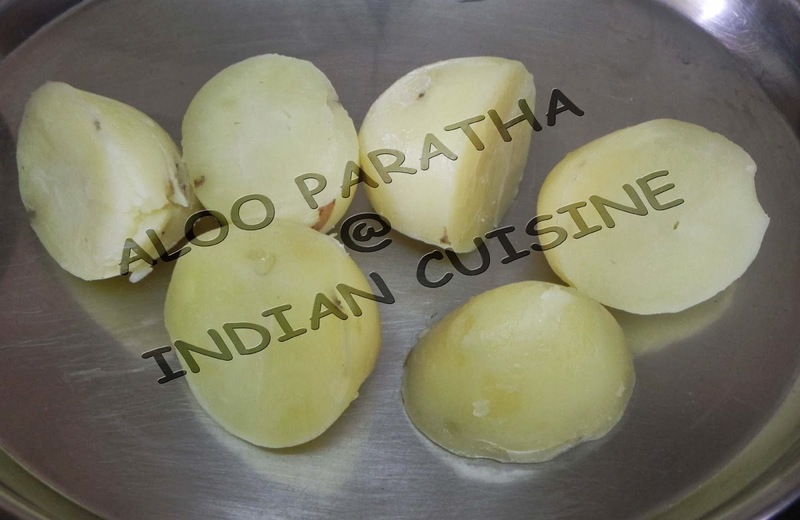 Take a ball(ping pong ball sized) of potato stuffing, keep it on the puri and close the puri over stuffing. Press the resulting dough gently and dust it with flour. 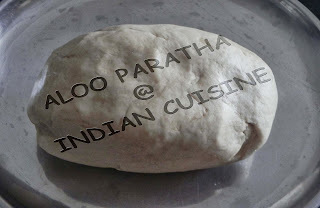 Flatten to the size of roti. Place it on hot tava. When it gets little brown, apply oil or ghee. 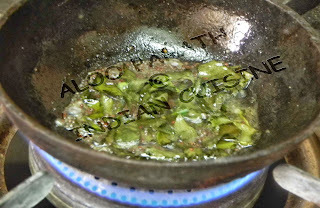 Turn it and again apply oil or ghee on other side. Keep turning simultaneously until it gets golden brown. 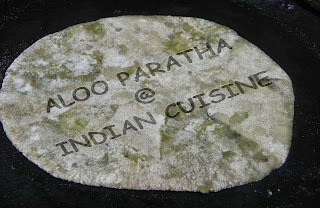 Tasty Aloo Parathas are ready!!! 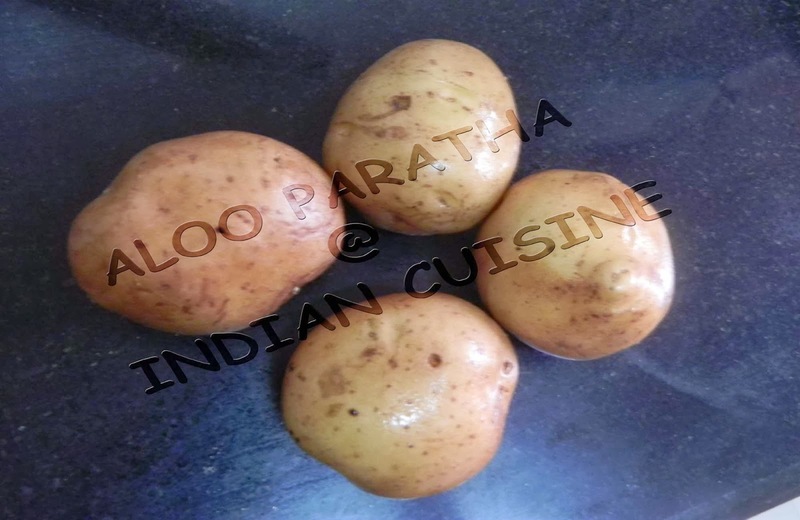 Serve it with curd or dhaniya chutney(coriander chutney).